I brought my point-and-shoot Canon Powershot to Long Beach Comic Con on Saturday, using it for most of the indoor shots, without the flash. This may have been a mistake, as those photos were all blurrier than the ones I took with my phone. So on Sunday I brought the bigger FujiFilm camera…and had the same problem. I think we’ve reached the point that, aside from optical zoom, the sensors on phones are good enough and the software is able to overcome the limitation of the optics when compared to point-and-shoot cameras, even the bigger ones. 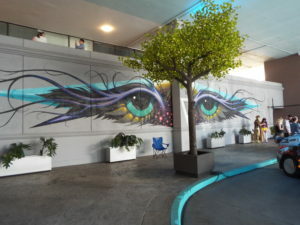 If I want better photos, I’m going to have to step up and buy a better class of camera. This entry was posted in Photos and tagged camera, LBCC, LBCC 2018 on September 10, 2018 by Kelson. 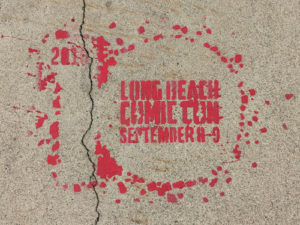 Back in 2009, I attended the first-ever Long Beach Comic-Con, an event that filled the void left when Wizard World cancelled WWLA at the last minute. I had a good time, and it had a lot of support from the industry, but I wondered how long it would last. Ten years on, LBCC is still going strong! It’s small compared to WonderCon or SDCC, but it continues to be much more focused on comics and art than most “comic cons.” Artists’ Alley is still the central focus of the main floor, with an outer edge made up of small press, comics and collectibles dealers, a wrestling ring, fan groups, Space Expo, and celebrity signing areas. All three of us attended on Saturday. 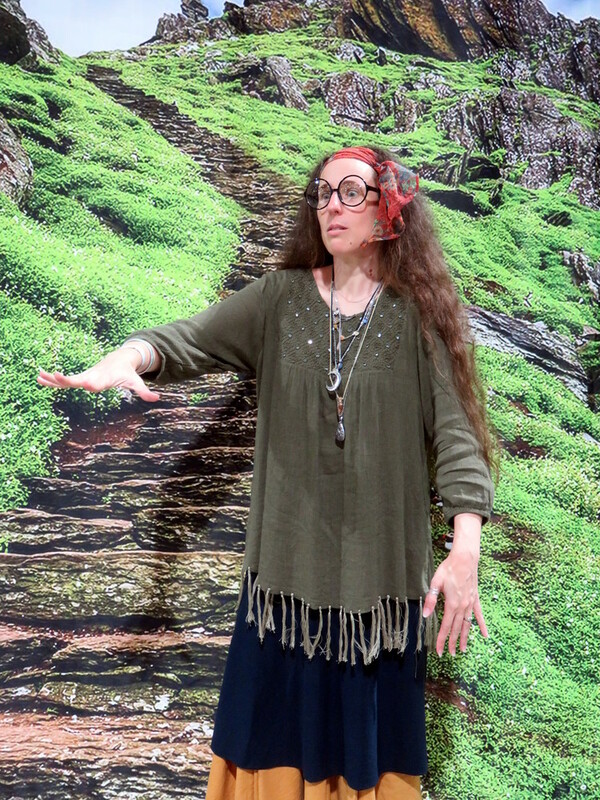 Katie debuted her Professor Trelawney cosplay, explored, and caught a panel on the science of Black Panther. I spent most of the afternoon taking J. around. We picked up a few toys, played video games (he found the customization screen on a fighting game right away, and spent the time experimenting), and several rounds of laser tag. The Long Beach Public Library also had a great area for kids, with crafts, a 3D printing demo, a photo area and a floor maze. 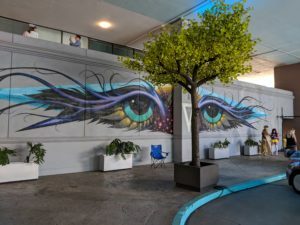 This entry was posted in Conventions and tagged LBCC, LBCC 2018, Long Beach on September 9, 2018 by Kelson. 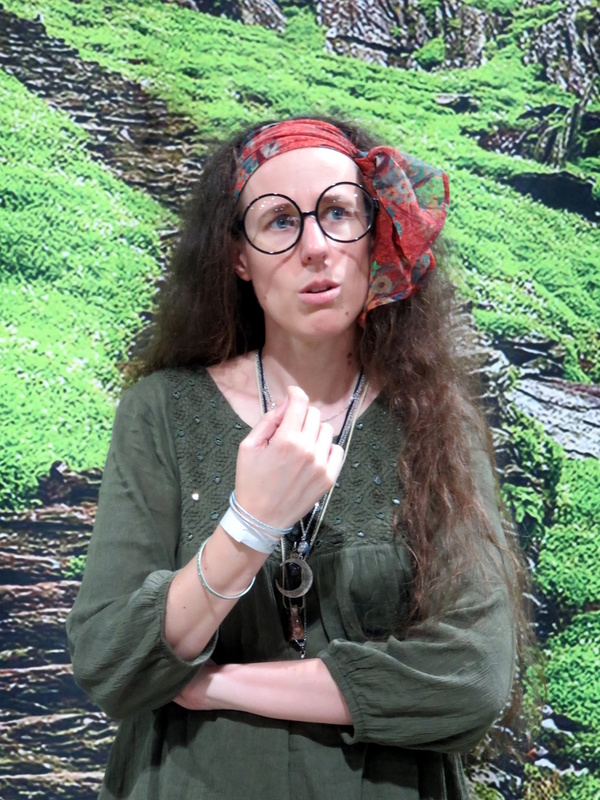 Katie’s been talking about dressing up as Professor Trelawney for a while now. She put together the pieces for a costume over the last couple of weeks, and wore them on Saturday at Long Beach Comic Con. It was a huge success! Lots of people recognized the character and wanted photos. We even ran into “Mad-Eye” Moody on the way into the convention! Edit: Then again, there was also the guy who insisted in talking to her about Woodstock. I’ll have more to say about the convention in the next post, but for now, check out my full LBCC photo gallery on Flickr. And you can follow Katie’s cosplay on Instagram at @CasualCosplayKatie. 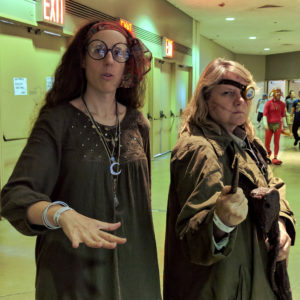 This entry was posted in Conventions, Sci-Fi/Fantasy and tagged cosplay, Harry Potter, LBCC, LBCC 2018, Professor Trelawney on September 9, 2018 by Kelson.